Demi Lovato’s first annual fundraiser for mental health! 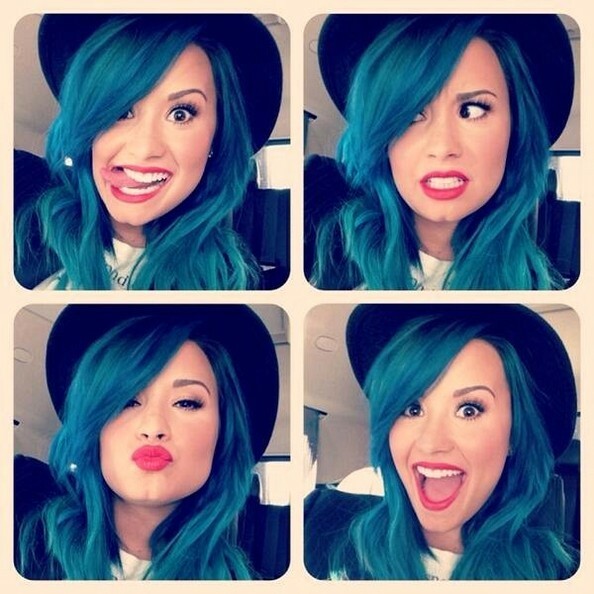 …she’s putting on a fundraising concert in LA for mental health! I really admire how public Demi was with her battles with addiction when she entered rehab back in 2010 for “physical and emotional issues”, specifically her battles with bulimia, cutting, and bipolar disorder. The pressure of growing up in front of the world really got under Demi’s skin and caused her to act out. Nobody can blame her really because we all know it’s extremely stressful being under the public eye and especially from a young age. 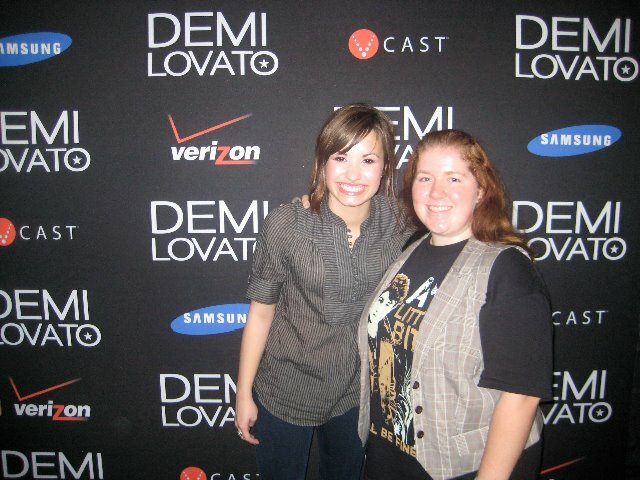 I met Demi back in 2008 at a Jonas Brothers concert! She was very excited and nervous when I told her that I thought she would be more famous than Miley Cyrus HAHA She said thank you and in my eyes she is more famous than Miley at this time. I think her collection of work is more respectable and genuine compared to Miss Cyrus. 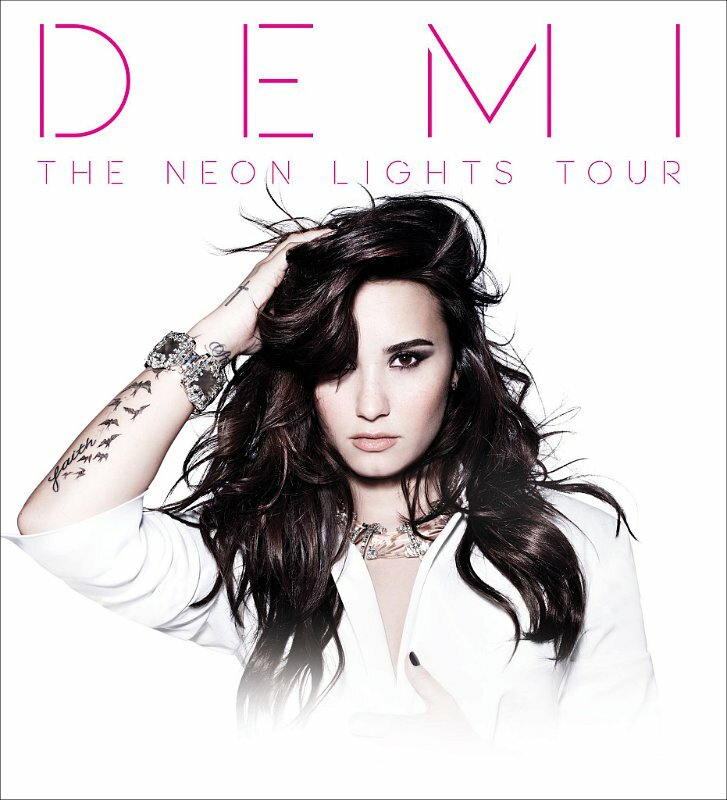 The last time I saw Demi was on her Neon Lights concert tour in Nashville in March 2014! So wow yeah it’s been a year now, but as far as I could tell…she was in an incredible place and from what I’ve seen since in social media, she really is beaming with joy! It’s wonderful to see her so happy and so in control of her personal life. She certainly deserves it for having inspired so many people of all ages! 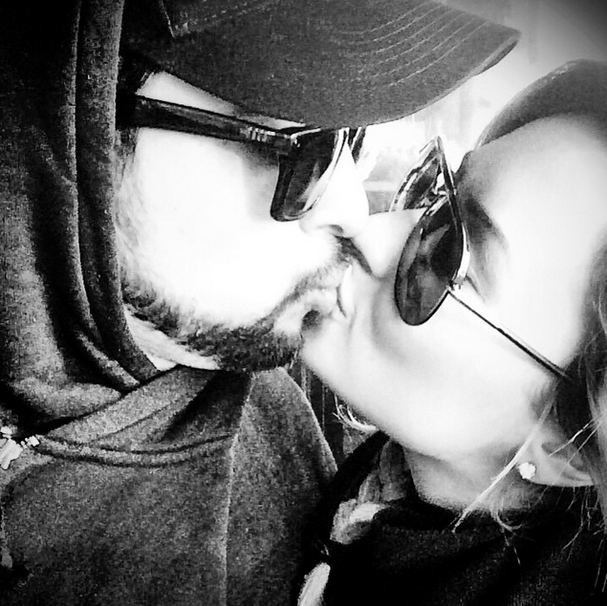 She has contributed the success of her sobriety to her longtime boyfriend Wilmer Valderrama! He stayed by her side and helped her not return to rehab in December for her eating disorder!! Demi is celebrating 3 years sober and she’s doing it in a big way tonight with her first annual fundraising concert in honor of mental health awareness! The concert will take place at the Troubadour in Los Angeles, California. She’s got celebrity guests N’SYNC’s Lance Bass and Khloe Kardashian attending to name a few and Joe Jonas will be the special guest DJ of the night! Ticket sales proceeds are going to The Lovato Treatment Scholarship that was created to fund mental health treatment for those who couldn’t otherwise afford it. What a lovely idea and how kind of Demi to give back to those less fortunate with similar struggles that she has gone through and is still going through! 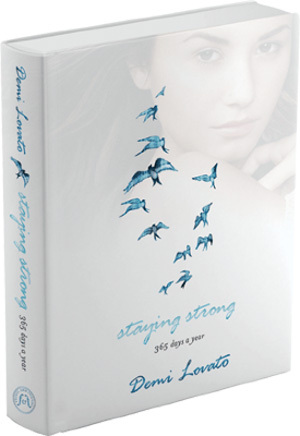 For more info about the scholarship go here: [castrecovery.com/lovatocholarship]. Tickets are available at: adventuresinwonderland.com/t/demi-lovato so if you’re in the LA area tonight…make sure to stop on in and support a wonderful cause! Demi’s scholarship was started to honor her father who passed away in 2013 due to untreated mental health issues as well as addiction. I’m sure it will be a wonderful night & congratulations Demi on your sobriety! I’ve been a Demi Lovato fan my whole life since I first saw her opposite Joe Jonas in Camp Rock, a cheesy Disney Channel Original movie. I love cheesy movies so I’m not at all hating on Camp Rock. I’ve seen Demi open for the Jonas Brothers, I met her that night after the show, and saw her 2 other times in concert during her double headlining tour with David Archuleta and her appearance on a Jingle Ball Christmas concert sponsored by my then local radio station in the Tampa Bay area, 933FLZ. Last night on her stop in Nashville, there were no disappointments and my image of Demi has possibly even been upped a few notches! All seven of his girls were on this tour! 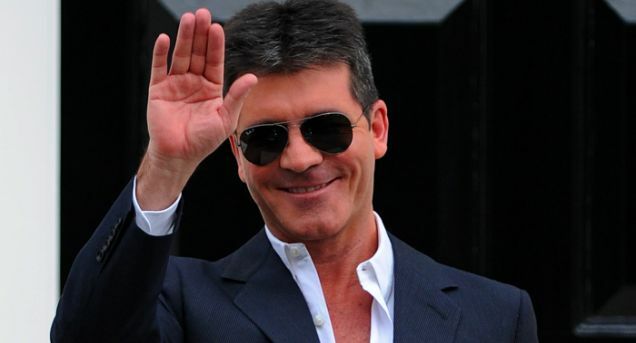 The 5 girls of girl group Fifth Harmony, pop diva in training Cher Lloyd, and of course his fellow X Factor judge Demi Lovato. 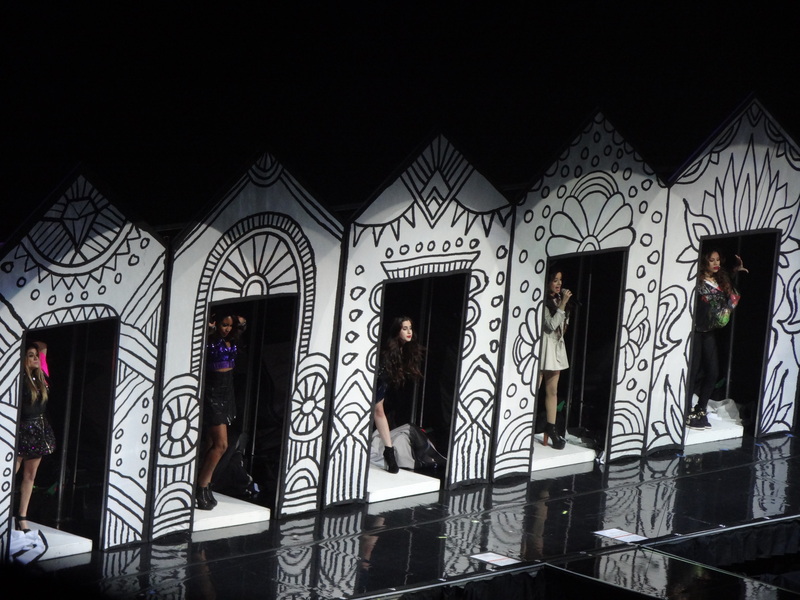 Fifth Harmony opened the show and I thought it was pretty neat that they were all in designer boxes and the front of them blew off as a special effect. It was kind of reminiscent to 5 Barbie dolls in boxes…so if they were going for that look: I got the message loud and clear! They were all very kind to the audience and spoke to us a lot. My only real complaint I will insert here is that their dancing was a little too “adult” for me. It just didn’t seem to be sending such a great message to the youngest of young girls in the audience. I will say that they were all great singers though and they did a great job. Next up was Cher Lloyd, one of my favorite up-and-comers to the pop music scene over the past couple of years, and I was so excited to see her since I never had before! I really had no freaking idea that Cher Lloyd was going to blow my socks off! She was absolutely exquisite and her band was so rock and roll! I couldn’t believe how full of a band she had as a pop solo artist, but it made the music equally as rocking as her vocals! 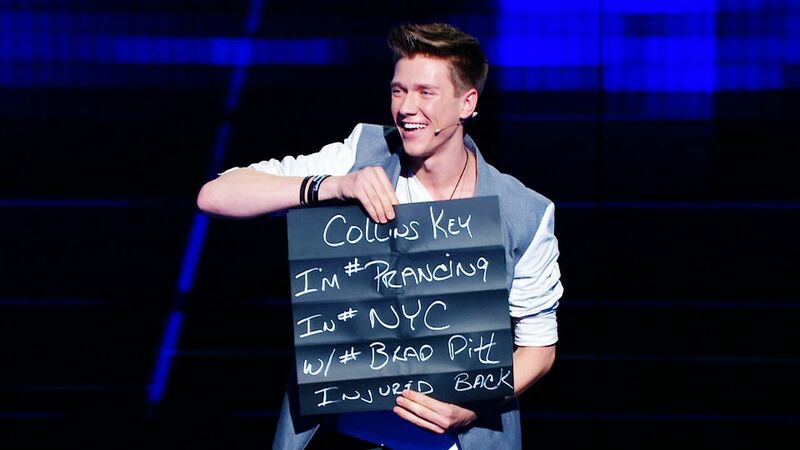 Collins was there to warm up the crowd and he did a great job of it! Next up was the one and only, Miss Demi Lovato!!! 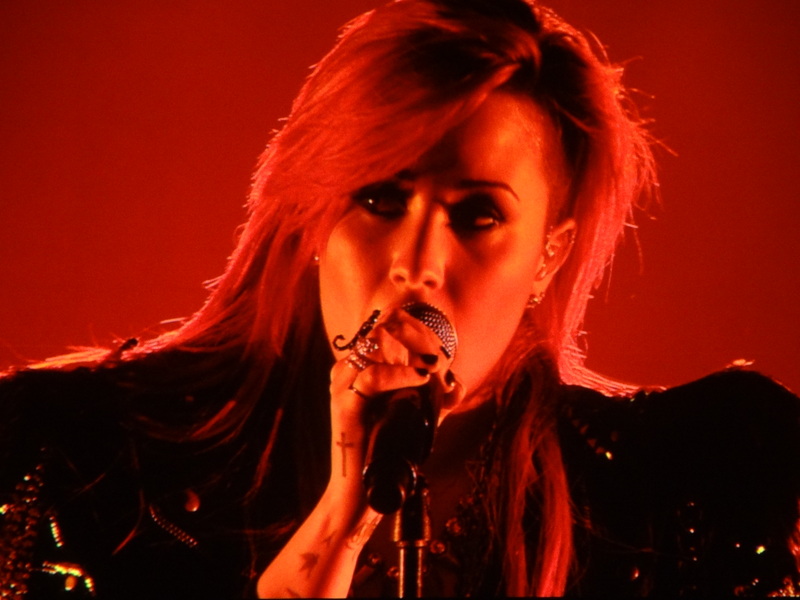 The first thing that caught my eye about Demi’s tour was her stage! Talk about a thing of sheer beauty!!! 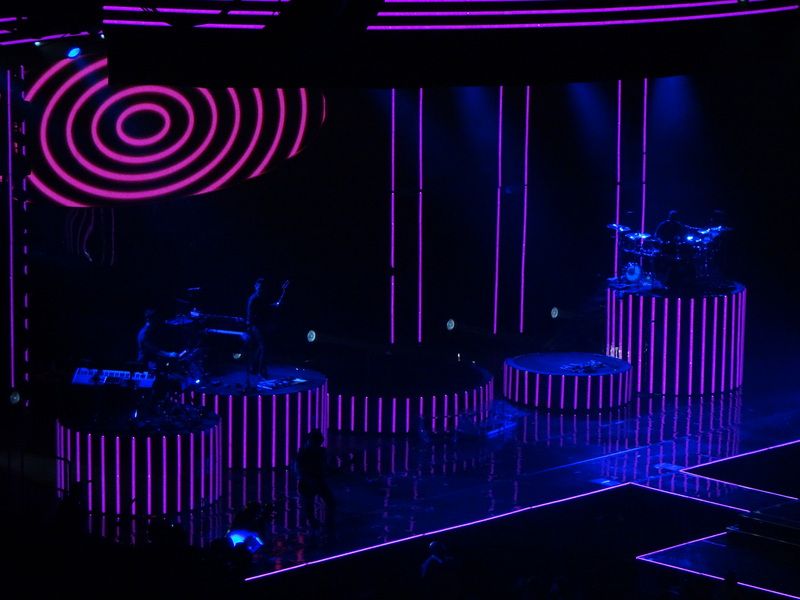 Demi came out of a square shaped riser in the center of the cat walk, there were circles of different heights for the band members to be displayed on, there were many lights, and there was a wonderful, oval-shaped screen in the center. 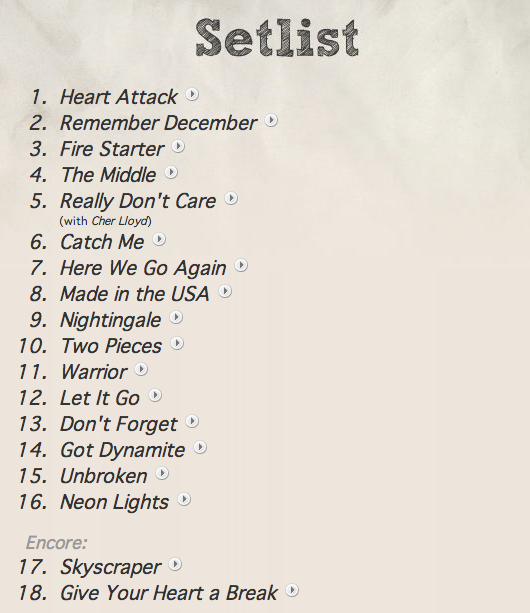 So the first 5 songs were seamless and very upbeat! The show had such an incredible momentum unlike any show I’ve ever seen before! Then there was a wonderful acoustic version of every Lovatic’s favorite Lovato ballad entitled: Catch Me, and the coolest ever version of an old throwback Demi song called Here We Go Again. I had to tweet it because it shows how much people are respecting Nashville! 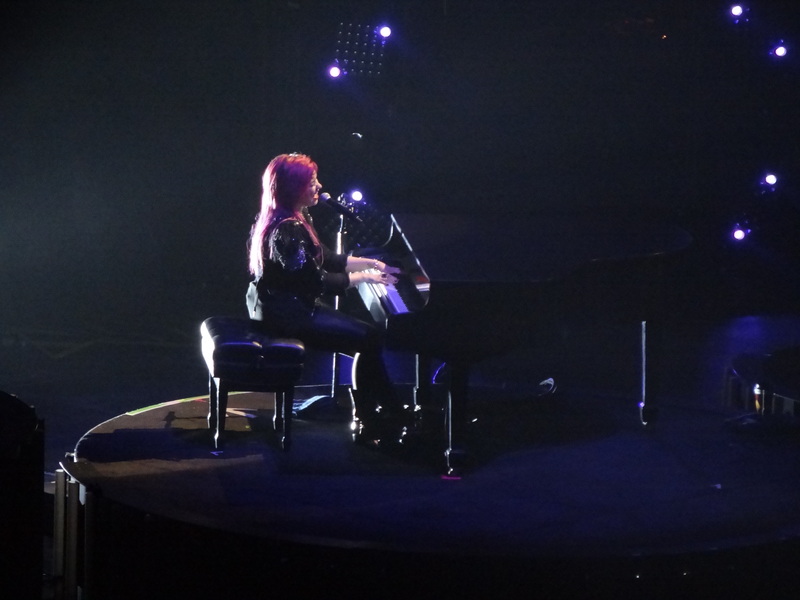 Then Demi sat at the piano and things got real. She said to the crowd that she wanted to take the time to tell us what she stands for. Demi went on to say that she used to be very depressed and troubled…”I’m pretty f***ing happy now.” She said she was sorry for cursing and that her mom was in the audience and hates to hear her curse. Demi has openly stated her love for cussing like a sailor and it’s so widespread in the music industry so I don’t mind it. If this little pep talk from a former self-harmer, substance abuser, and altogether pain stuffer wasn’t enough to inspire everyone in the audience…I really don’t know what is! 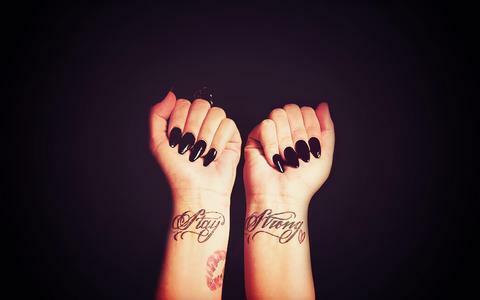 Demi makes recovery not only her path in life, but her message for everyone she meets! She’s truly an inspiration! I decided to stand during the encore when Demi broke into Skyscraper because I thought that she stands for so much, and I want to take a stand for her and her ongoing recovery. Kesha posted the following Twit Pic a little after 9 pm last night showing that she was in a plane heading home from rehab in Illinois! Timberline Knolls is the same place where Demi Lovato was treated in 2010. Posting that pic to Twitter was her first tweet since January 22nd! She has most certainly been taking time off to heal and we can’t blame her. Also, let it be noted that Kesha has dropped the dollar sign from her Twitter name and changed her Twitter handle to @KeshaRose. For years her Twitter handle was @keshasuxx and I guess now she is trying to be less self-deprecating. She was wearing a sweater that said “IMA SURVIVOR” which was such a great statement for what she has gone through over the past few months. 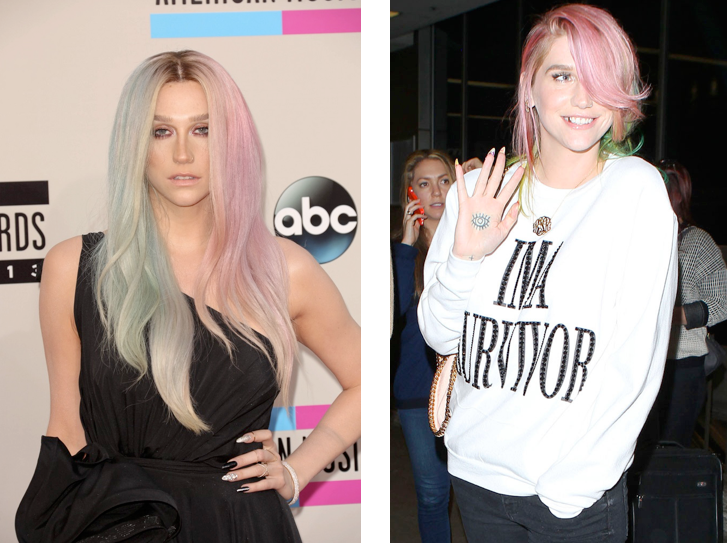 I’m so glad that Kesha sought out treatment and is back stronger than ever! I knew she could do it and I’m excited for her new music to be released! No word on whether Dr. Luke is set to continue on as a mentor and producer for Kesha, but I’ll keep looking for that information to surface! I hope they call it a truce and get back to the music!!! And it looks like March 1st wasn’t only a birthday celebration for the Biebz! Kesha also celebrated her birthday on the 1st when she turned 27! So it’s a Happy Belated Birthday to Kesha and best wishes for her in recovery! 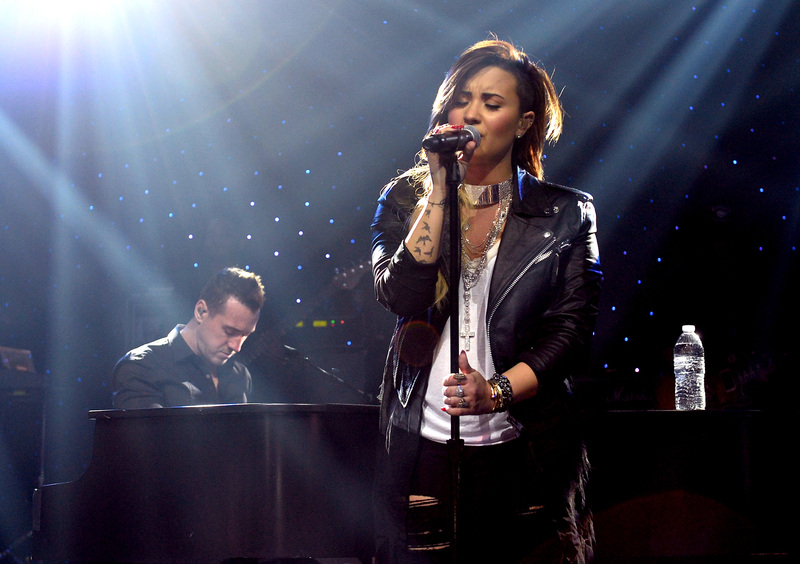 Demi Lovato is stronger than ever! I’m so happy to do a post about her haha Honestly! 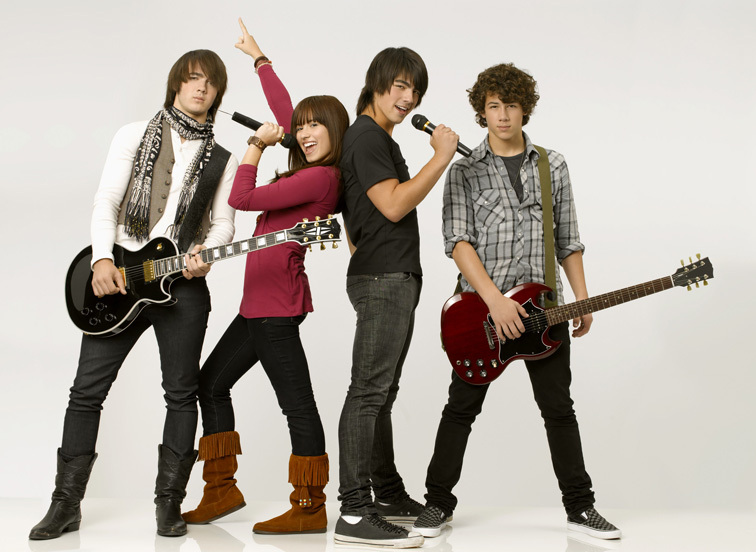 I first heard about Demi like everyone else had back when she had a staring role in the Jonas Brothers Disney Channel original movie “Camp Rock”. 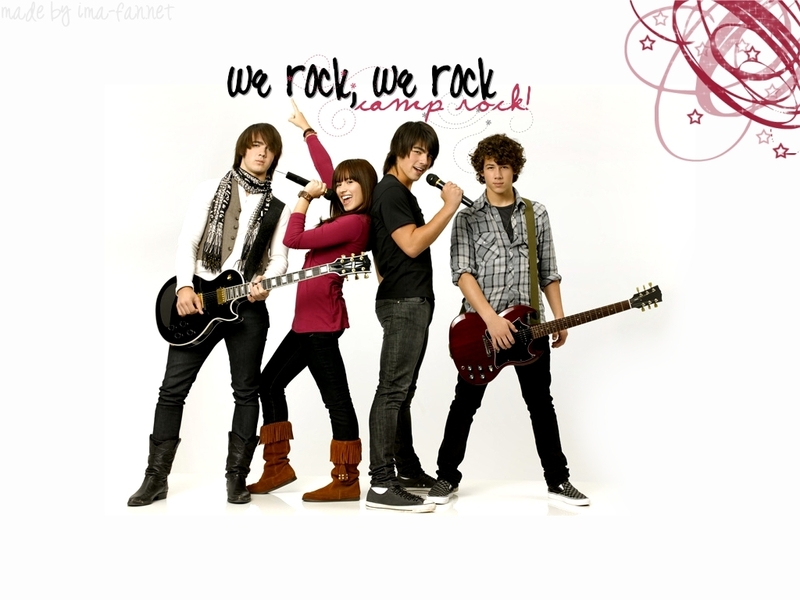 Demi was instantly trending because the Jonas Brothers were the hottest thing since sliced bread!!! They were supported by my favorite twins from Australia “The Veronicas” and of course Miss Demi Lovato! Since then I have been following Demi’s music and I’ve always been a huge fan. 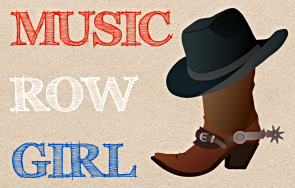 She has a beautiful songwriting style and her songs are lovely! I saw her with another friend in the summer of 2009 in Tampa for the combination tour of Demi Lovato and David Archuleta! She was awesome and so fun! I remember on that tour date there was a special moment during Demi’s last song where she paused and was crying on stage. She told the crowd, “I think I just got it”. I was so honored to be there as her fan at the moment knowing that she just understood that she was famous and that people were crazy about her. It was so special! I also had the wonderful opportunity of seeing Demi perform at a radio show known as Jingle Ball put on by 933 FLZ in Tampa. She was amazing and so charming with the audience. It was the first time I had seen her since her latest album came out and more importantly “Skyscraper”. 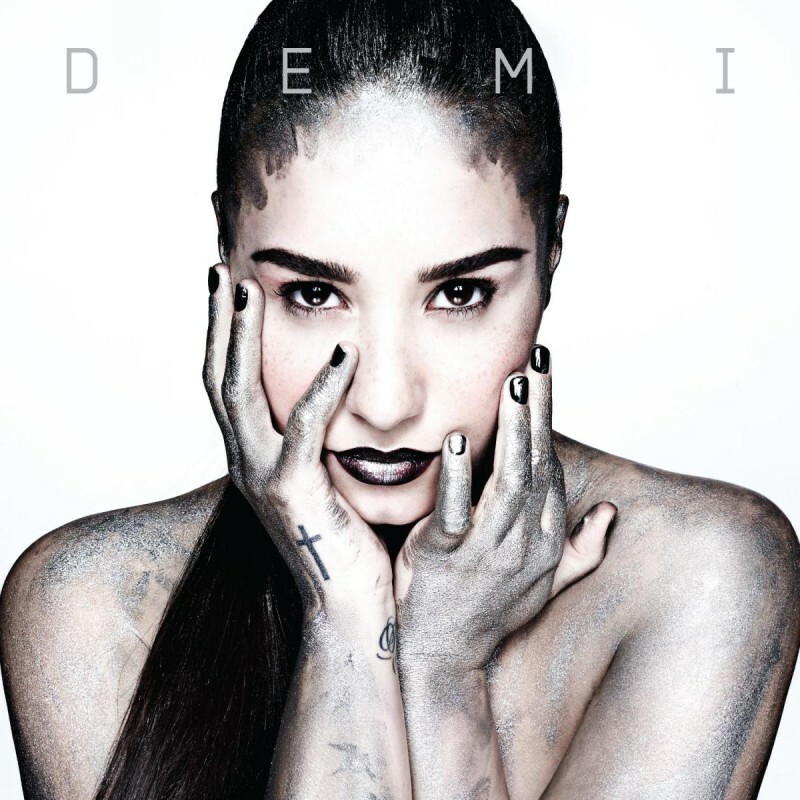 Her new album is much more pop/dance focused with some striking ballads like “Nightingale” and “In Case”. I’m posting about her today because there was a cool news story that just came out saying that Demi has appointed my all-time favorite Jo Bro, Nick Jonas as the creative and musical director of her upcoming tour Neon Lights tour. I’m going to be seeing her on her stop in Nashville on Saturday, March 29th!